The Bank has introduced term deposit scheme offering higher rates of interest on deposits for the fixed period of 111/222/333 days. 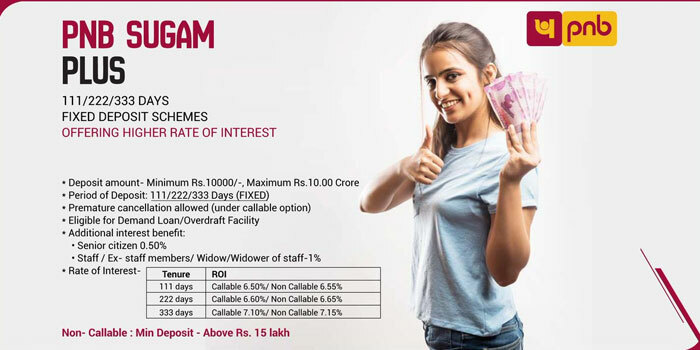 Deposit Amount: Minimum deposit of Rs.10000/- and thereafter in multiples of Re.1000/- with maximum amount of Rs.10.00 Crore. Premature Cancellation: 1% penal interest shall be charged at the time of premature cancellation of the deposit. Tax Deducted At Source: TDS is applicable as per the rules.